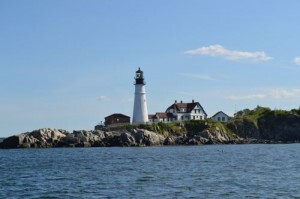 Casco Bay Cruises and Tours are a great way to see Maine from the water. We had the opportunity over the last week to bring many groups out for a tour of Casco Bay to see the various sights. Lighthouses, forts, islands, seals and much more can be seen on these custom Casco Bay cruises and tours. The photo to the right is of the Cavanagh family from Bath, Maine. They had a great time seeing the sights and enjoying a comfortable cruise around Casco Bay. On this day we happened to be near where an ultra-light plane had crashed near Portland Headlight at Fort Williams Park earlier in the day. Fortunately we did not witness the event! We did however see the many search and rescue boats that are readily available for emergencies like this and to realize just how important they are to us. On all of our Casco Bay Cruises and Tours we see many points of interest and over the last week we were able to see many tourists on our trips enjoy Maine in a way that many miss out on. Below are more photos taken during the week. We had a terrific week with both Deep Sea Fishing charters and Casco Bay cruises. The offshore groundfishing has been good to excellent all week with loads of cod, haddock and pollock being caught on every trip. If you measure success in numbers of fish caught you will find it very very good fishing right now as it is close to a fish a cast on every trip. The haddock fishing is starting to pick up and the best way to catch them right now is with bait on a teaser. The larger cod are being caught with no bait so you have to decide if you want to try for haddock or BIG cod! Either way you win as you still catch fish using either method. The ocean water surface temperature has reached the 60 degree mark so the migratory fish like tuna and shark are moving onto the fishing grounds. In fact we had a charter on June 23rd and we hooked into our first tuna of the year. We were fishing live bait and hooked up around 10 AM and fought this fish for close to 3 hours before the hook pulled. On this particular day we fished for tuna only and we were rewarded with a battle that will be remembered for a very long time even though the fish won. 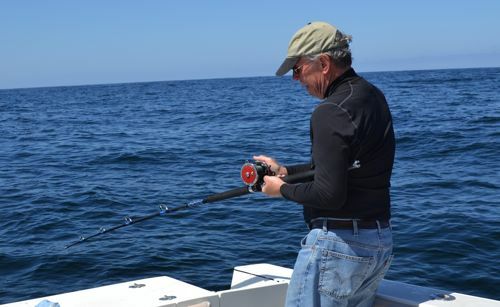 What we like about fishing the most is the memories and it is always a great deep sea fishing memory when you get to play a bluefin tuna like the one we had on today. We have a Casco Bay family cruise today and we are really looking forward to a sun splashed day on the water with the Cavanaugh family from Bath, Maine. 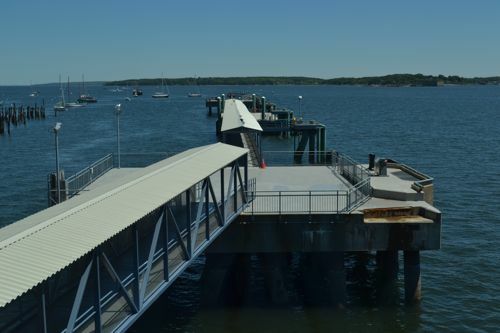 Check back in for an update on the Casco Bay Cruises! 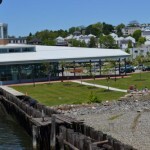 The Ocean Gateway terminal in Portland, Maine was built primarily to accommodate the increasing number of cruise ships that are coming to Portland each year. It is owned by the City of Portland and the facility is also available to be rented for occasions such as weddings, auctions and other events that people may want to have take place. 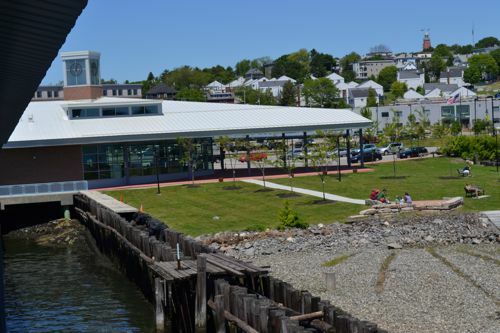 The view from the facility offers a one-of-a-kind look at the Portland waterfront and the eastern prom. 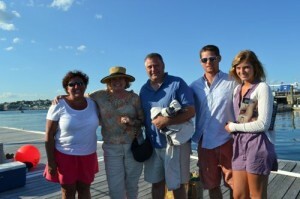 We had the wonderful Manz family from New Hampshire with us for a Father’s Day deep sea fishing trip. They were all very good at fishing and catching and having a great day together. 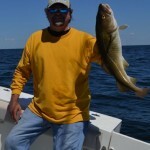 Grandfather Manz caught the largest fish of the day and it was a 15 pound cod. For that accomplishment he was nicknamed The “Cod” Father! The youngest of the family was Cole and he was all business when it came to fishing and catching fish. 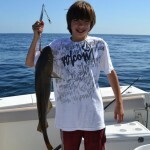 Cole had the largest fish of the day with an eleven pound cod until his grandfather finished his fishing with his monster cod. It was definitely a great day to be deep sea fishing in Maine and they all made the most of it. 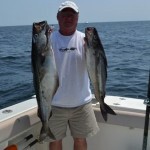 They hope to be back later in the summer for some more Maine deep sea fishing when the shark and tuna fishing heats up! I must say that it was truly a pleasure having the Manz family with us for a day on the water. What a great weekend to get out deep sea fishing in Maine! The fishing was fantastic and the company even better. We caught pollock, cod, haddock and cusk all day long and everyone went home with a lot of fresh fish filets. The catching of legal fish was non-stop from the start to the end and so good that they were being selective in which fish to keep! Everyone went home happy and a bit tired from the non-stop action! The day was made even better by the occasional whale that came by from time to time. Most were minke whale and an occasional humpback. We probably saw a dozen whale during the trip and heard many more. There were a few dogfish seen but none were hooked and that is always a good thing. On the way back to the dock I pulled a few of our lobster traps and added lobster to the catch for the day. Everyone on this trip went home very happy and looking forward to the next Maine Ocean Adventure with us! We opened the new website for Maine Ocean Adventures recently and it is our hope that you like the changes. We also have added this blog and you will find it the same way as before under Adventure Updates. The weather has caused a lot of cancellations recently and those trips will be made up later in the season. We did manage to set our lobster traps and the catch has been light so far. We are catching a lot of female breeders though and that is always a good thing as they provide for the future. We did manage to get out one day and try for tuna on June 1st and we had a great day even though we did not catch any tuna. We go this weekend again and we will have an update for you. It was a good day to be Deep Sea Fishing in Maine today. We caught well over 100 fish and they were mostly cod followed by Pollock. The photo shows Capt. Ron with a double catch of a 19 plus and 12 pound Pollock. Both fish caught at the same time on the same rod. The cod were mostly small to medium size. We did see a few whales but nowhere near as many as the last few trips. It was a great day to be fishing and enjoying a day Deep Sea fishing in Maine. 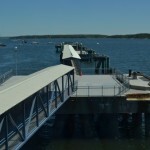 Mother’s Day weekend is always reserved for Casco Bay Cruises and last weekend was no different. Add in some windy conditions and it turned out for the better anyway. We did manage to get in some sea-glass hunting on some of the island beaches where we were rewarded with lots of sea-glass and nobody else on the beach. We launched last week and went out for our first trip May 5th. It was a good day for a whale watch as the whales ruled the sea that day. I managed to let the battery in the camera run down so there are no pictures. It was a great day on the water just the same and we did manage to catch a ton of redfish and a few cod. The fish were there but they were probably more concerned about becoming a whale sandwich than eating our offerings. Things at the marina should be better than ever this year as they have made many changes that will make it a lot more pleasurable. We have taken a lot of calls to make reservations lately and if you have been waiting for the right time to call us you may want to do it soon before someone else takes your day. Call us NOW 207.751.6966 and book your trip of a lifetime. When a letter from the National Marine Fisheries Service, Northeast Region comes in the mail you never know what may be inside for news. 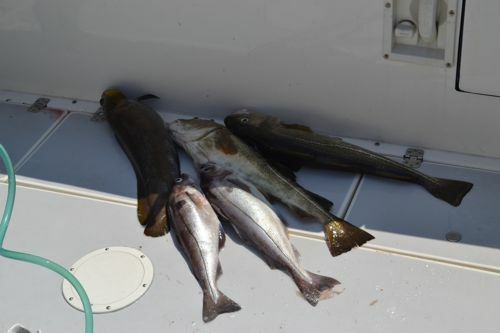 Yesterday was no different as they have decided to change the haddock regulations back to what they were last year at 18 inches in length and with no bag limit for the recreational, party and charter vessel operators. It is hard to understand how a regulation like this one can be changed in less than 5 months 2 times. It makes you really wonder who and how decisions are being made? Of course, if the State of Maine decides to implement stricter regulations they have that freedom to do just that. The letter made a point of stating that can be done. And the State did exactly that by keeping the length on cod at 24″. A smart choice in our opinion. It has been a great stretch of weather lately to wrap-up all the boat work and get ready for launch day on May 1st. The 2012 season should be another great year and the tournaments will be a lot of fun this summer. We have registered and donated our boat, gear & services for the Veterans Appreciation Tournament. It is scheduled to run on July 28th and what a terrific way to show our thanks to the veterans. We will be taking up to 6 veterans out for a day of fishing and having FUN! Veterans, you can register beginning on May 1st by going to www.vetsaft.com . This is also a good time to mention that we do offer a discount to veterans for any trip that they book with us. 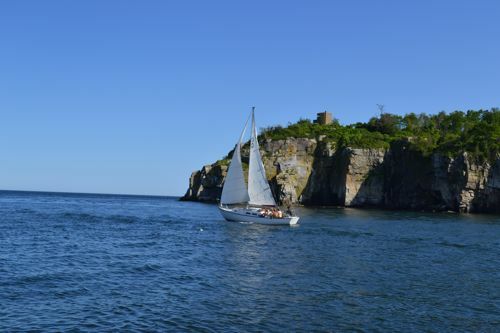 Another tournament that we have registered in is the Casco Bay Classic Sportfishing Tournament. New this year is the fact that they have merged the MDA tournament with the Casco Bay Classic tournament. It will be a 3 day event, August 16, 17 & 18, and we do take charters for any of the 3 days during this event. We have been taking many reservations for the upcoming season lately so we want to remind you that NOW is a great time to contact us and book your trip of a lifetime. 207.751.6966. 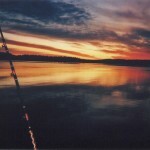 With the arrival of April we move close to the start of the 2012 fishing season and our favorite time of the year. There are just a few things left to do on the boat before we paint the bottom and get ready for launching at the end of the month. The final changes were announced yesterday regarding size and bag limits for cod. The cod will have a bag limit of 9 and a lenght limit of 19 inches. We received a letter months ago for haddock but we were advised to NOT make an announcement until now because it was possible that it could change. It did not and haddock now have a 19 inch limit and a bag limit of 9. These are significant changes and the logic or lack of make us wonder what the decision makers are thinking. We are in the process of upgrading our website so you will be seeing some significant changes occurring soon. We think you are going to like them! Happy St. Patrick’s Day! A great way to give a reason to celebrate. Another reason to celebrate is this warm weather we have been experiencing. The ocean temps are already increasing and that will lead to an early start to the fishing and charter season. Enjoy the holiday! Happy Valentines Day! It is a special day for sure and we hope all of you have a wonderful day. We have had a lot of questions regarding the possible changes to the fishing regulations and all we can say is that there are going to be changes and that it is only speculation as to what they will be at this time. When they are official we will post them here and we expect them to be announced by the end of the month so check back in. With the way this winter has gone so far we expect that water temperatures will be influenced by it and that the waters will warm up sooner than usual. It definitely will be worth watching. We have been busy working on the equipment and getting it in top shape for the upcoming season. Most of the rod and reel work we like to do so that we know it has been done correctly. Fortunately our gear is kept in top shape all year long and repairs are minimal. It is time well spent to insure that the days on the water are the best they can be. We are looking forward to a great 2012 and having you join us. Call us today (207.751.6966) to make your reservation for that Maine Deep Sea Fishing trip or Casco Bay cruise and tour. We are finally getting our first real winter storm today and it looks like it is going to be messy. We really have been fortunate to have had warmer weather than normal but the people and businesses that depend on snow have had it rough so far. Maybe this will be the start of a more normal winter. We have booked many Maine Deep Sea Fishing trips for the upcoming season and thought this would be a good time to remind all of the veterans that we do offer discounts for veterans that want to go Deep Sea Fishing in Maine. Give us a call today to book your next adventure with us. We guarantee that you will catch fish and have a great time! Enjoy the snow and be safe. 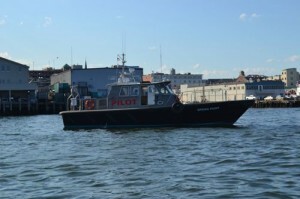 We had another fantastic and busy week running Casco Bay cruises and fishing offshore. We had a great group of guys from Time Warner join us for a cruise and a lobstah roll lunch. 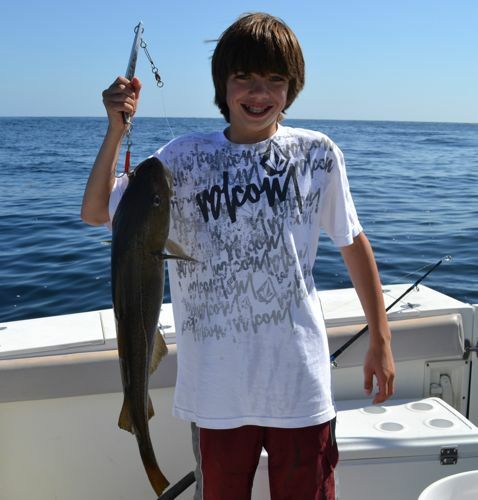 The groundfishing was excellent for Haddock and there weren’t many dogfish. We kept 20 haddock with the biggest being just over 6 pounds and a limit of cod. All haddock we caught were 22 inches or longer with none under the legal length of 18 inches. Most of the fish filets will be given to friends and families in the neighborhood to enjoy. Shark fishing was fantastic again! We caught and released ALIVE a lucky 13 blue shark with the largest being around 10 feet long. We probably could have caught more shark but we called it quits at 13! The best fishing is yet to come and now is the time to get in on the action. Call us today and book your “Trip of a Lifetime”. What an awesome day we had today deep sea fishing with Maine Ocean Adventures. We caught and released ALIVE 9 blue shark ranging in size from 7 feet to 12 plus feet! The biggest weighed easily more than 400 pounds and provided a fantastic fight. We also put some time in groundfishing and we caught cusk, hake and cod. We all took home fillets for dinner and finished the day with well over 100 total fish with 90 of them being released alive. We did not catch a single dogfish and the water temp stayed in the 60’s all day with calm seas which made for a really great day. The best fishing of the season is coming up and it would be nice to have you join us so you can catch your own fish instead of reading about others catching your fish! We guarantee you will catch fish and have a wonderful adventure. See you soon! As the shark season has arrived we thought it appropriate to mention again that we participate in the Apex Predator Tagging Program. We do not approve of “trophy” fishing for shark or any other fish unless they are kept for consumption. Do not get us wrong, we love to catch BIG fish and we do keep fish for dinner. We just do not keep everything we can. We enter tournaments with discretion. We have a great resource out there in the Gulf of Maine and it can only remain that way by practicing solid conservation practices. Welcome aboard Maine Ocean Adventures, where we can and we do make a difference. Catch the excitement with us today. What a great day we had today deep sea fishing in the gulf of Maine. The groundfishing was slow but the shark fishing made up for it. We had shark around the boat all day long and we hooked into a tuna that provided a short yet very exciting fight. The pictures of shark in the photo gallery from today pretty much say it all. We had a GREAT day on the water! We caught some shark, hooked into a tuna and went home with several bags of fresh fillets for dinner. We sure hope that you will give us a call so you can be a part of the next adventure. Catch you later! It has been a hectic week running corporate charters in the “Bay”. Not much to provide for fishing updates as these trips were more social events than they were fishing trips. We all had a lot of fun and enjoyed some great weather and we did catch a few mackerel. 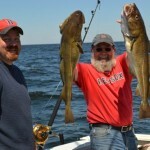 This weekend we are booked for fishing offshore so we should have some Maine deep sea fishing to talk about. 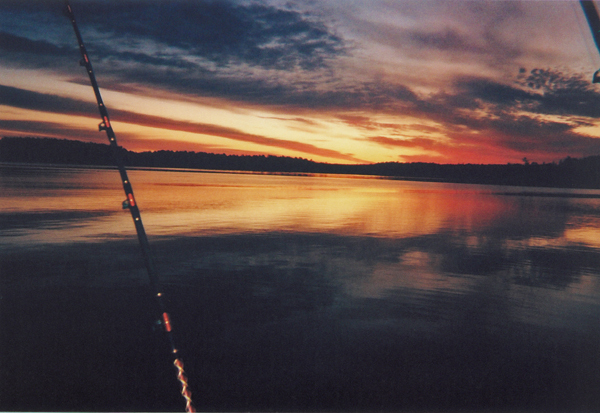 Catch you later and always remember that we will have a great time catching your fish! We had a fantastic day fishing today but the catching was less than acceptable. Major reason was that we had a charter today that wanted to try for tuna and we did with no success. 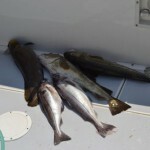 We did stop for a short time to try for groundfish on the inner shoals and we caught a few keeper cod. Other than that it was a typical day of tuna fishing and if it was easy everyone would do it! We all had some fun and enjoyed watching whale and porpoise. Catch you later! What a great day of deep sea fishing in Maine we had today. We caught our first Blue Shark of the year and the cod and haddock were plentiful as always. It was a terrific day to be a fisherman with Maine Ocean Adventures today and you have got to check out the photo gallery to see the shark up close and personal. Not to mention the pics of cod and haddock that we caught. Another banner day catching about twenty legal haddock and so many cod that we kept only the larger ones. We go again tomorrow so stay tuned. All veterans who charter a full day deep sea fishing charter with us any day this month to take place in 2011 will receive 10% off! We had a great day today cruising Casco Bay with a group who were taking a mental health day off from work. Did they ever pick the perfect day to do it! They wanted to catch some mackerel so we filled a bucket in no time and then we just cruised around the bay. We made our last stop at Seal Island and caught a glimpse of a Seal Slumber Party. Check out our photo gallery to see the party. If you have been waiting for the weather to improve and the fishing to heat up you need wait no longer. The fishing gets no better than right now and all you have to do is hook-up today and catch the excitement with Maine Ocean Adventures for a Deep Sea Fishing trip you will never forget, guaranteed. The Basagoiti family from Mexico had a fantastic day with Maine Ocean Adventures today filling the boat with 21 legal haddock and so many cod that we were putting them back to catch another day. Groundfishing in Maine gets no better than it was today! It was one of those days where the fish were hitting as soon as the jig hit bottom from start to finish. We also had a pod of over 100 porpoise come within 20 feet of the boat jumping and then swimming right under us. What a great day we all had and the memories will last forever. We hope to have you join us soon on the next adventure as the fishing is fantastic and all that is missing is YOU! We sure hope the weather forecaster’s are correct as they are predicting warmer and brighter weather coming in and lasting for awhile! Hopefully our charter the Basagoiti family from Mexico will have a great time on the water with us this week. Stay tuned for an update as we are sure they will be catching many memorable moments. It is official, we have not been the only ones hooking into the tuna and the shark have arrived as well. There is no better time than right NOW to hook-up with Maine Ocean Adventures to go deep sea fishing in Maine. We take charters that want to enter tournaments and that needs to be done soon for those of you interested in tournaments. We catch monster shark every year and we would love to have you win a tournament with us! Hook-up today or someone else will be catching your fish. 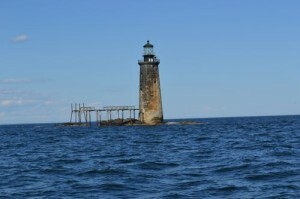 Check out the photo gallery for our latest pictures taken while cruising Casco Bay and Sea Glass Hunting. You will find Captain Ron with the catch of the day. What a great run of weather we are having! Hook-up today for your next deep sea fishing adventure or for that Casco Bay Island Cruise. The only thing missing has been YOU and man are you missing the boat. This weekend we will be taking scenic cruises and going sea glass hunting on the islands of Casco Bay. Not everyone wants to go fishing and the change of pace is always welcome. Check out our photo gallery for some scenic pictures. We hope everyone has a great Father’s Day Weekend. Always leave your itinerary with someone on-shore so that your trip plans are known. MAKE SURE THEY KEEP YOUR FISHING HOTSPOTS A SECRET UNLESS AN EMERGENCY ARRIVES! Never tell people where you are catching groundfish!!! Never tell people what lures/bait caught the groundfish!!! Always use a little embellishment when telling your fish stories. Now for the tips…Fish the drop offs and have a good fish finder. Be prepared to use bait and artificial lures…variety is important. Know when to drift, anchor or use a sea anchor. Be prepared for BIG fish with a good saltwater rod & reel with at least 375 yards of 80# braided line. 10. Watch the water and learn how to read it. 11. Go to Saco Bay Tackle and support Maine’s Best Saltwater Tackle Shop. They know saltwater fishing.